Designed to reproduce colors in the most faithful manner, Par 1000Z has a color rendering index of >90Ra, providing excellent and accurate color rendering. The CRI (color rendering index) is a quantitative measurement, from 0 to 100, used to indicate how accurate a given light source is at rendering the colors of an object. Thanks to the COB technology of the LED modules, Par 1000Z provides a more efficient light source with improved heat dissipation and longer lifetime. Therefore, with the same power as an SMD LED, the user can achieve a higher number of lumens/watts. To guarantee flicker-free operation, an essential characteristic for audiovisual projects, Par 1000Z features adjustable PWM. This function allows the user to choose the working frequency of the fixture, thus ensuring a 100% flicker-free operation. 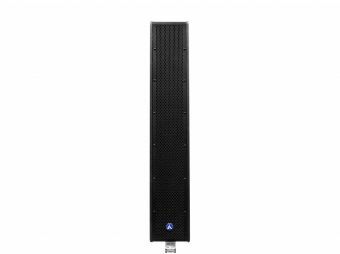 Par 1000Z is a high power LED PAR with DMX that sports 1 white 100W COB LED. Ideal for large scale applications thanks to its power, the fixture has a manual zoom from 11º to 35º in addition to a very high 90Ra color rendering. Par 1000Z has five dimmer curves, gamma correction and selectable refresh rate, guaranteeing flicker-free operation in any given situation. Dimensions: 491x275x224 mm. / 19.3x10.8x8.8 in. Weight: 3.4 Kg. / 7.5 Lbs.